You may or may not have heard, but…. I was asked at the last minute to chaperone a student trip to Disney World in January. During Interim Term this year, a group of students is participating in the Disney Youth Education Series and will be going for five days. I’m so excited that I was asked to go! I will be going with one other teacher and we are taking 11 students. The kids that are going are such good kids and I know we’re going to have a great time. 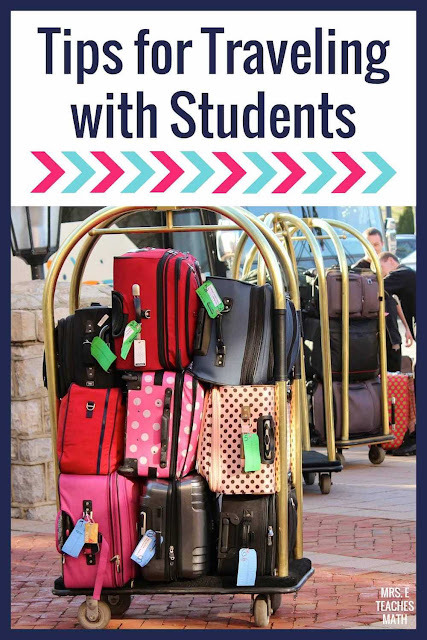 Since I’ve never traveled with students, I reached out to my colleagues and online friends to give me tips. I'm so excited for my trip! Do you have any Disney travel tips? I really love your article. It is good and useful. share we keep in touch more about your post. More info please visit :- Class 9 Mathematics. Emaths.in is all about Mathematics. You can find content related to any topic between Class 6 to Class 12 for Mathematics for all boards including CBSE, ICSE and all state boards. We do provide general concept of Mathematics topics.